You are here: Home » Gather….. But then I remembered. We’re a week away from Thanksgiving and I am in Botswana, an ocean away from my family. Growing up, Thanksgiving was always a pretty big deal in my family. I remember waking up to the smells of thanksgiving and seeing my mom in the kitchen. She was probably up before the sun making sure things were stuck into the oven and going. I remember sitting in jammies watching the Macy’s Thanksgiving parade….always waiting for the Snoopy balloon because that was my favorite. Then we would gather the food and drive to my Grandparents where all my extended family would spend the day eating, playing, eating, and laughing. It was magical. Over the years, it’s changed as we’ve all gotten older and moved away and Grandma and Grandpa are no longer with us, but it’s still a time we’re everyone makes time to come together. Kevin and I would make the 12 hr drive from Virginia and we would spend about a week with my family. Thanksgiving was always “my” holiday. Kevin could have Christmas, but I always chose Thanksgiving. Our first year living overseas in Botswana was hard when the holiday’s rolled around. Something about 100 degree weather and blazing hot sun didn’t really scream, “Happy Thanksgiving!” We managed to score some amazing tickets to Cape Town and decided we would go over thanksgiving and get away for a bit. Due to an amazing God connection, we spent the night with some fellow American’s that we were meeting for the first time. Our flight was very delayed due to weather and we rolled into their home about 2 hours late. What we found was a house full of people and they were waiting for us to arrive. They held their thanksgiving meal so that we could be a part of it….two people that they had never met. I remember fighting back tears of gratefulness as I thought for sure Kevin and I wouldn’t be having a Thanksgiving meal. The table was full for amazing food (most of the people there were cheif’s in training!) and it was a night I will never forget, making new friends. The years that followed, we made Thanksgiving our own. Finding turkeys that were literally the size of chickens and needing to cook at least 4-6 in order to feed all the people that were coming. Friends and family would send care packages with cans of pumpkin, spices, and fall decorations so we could pull off our meals. While the locations changed, the famous smells of Thanksgiving did not……it was the one familiar thing. And while I wasn’t near family, I had fellow missionaries that were like family around me and together we made the best of it. I smile with memories of each Thanksgiving spent overseas and it wasn’t the food I remember, but the company around the table. 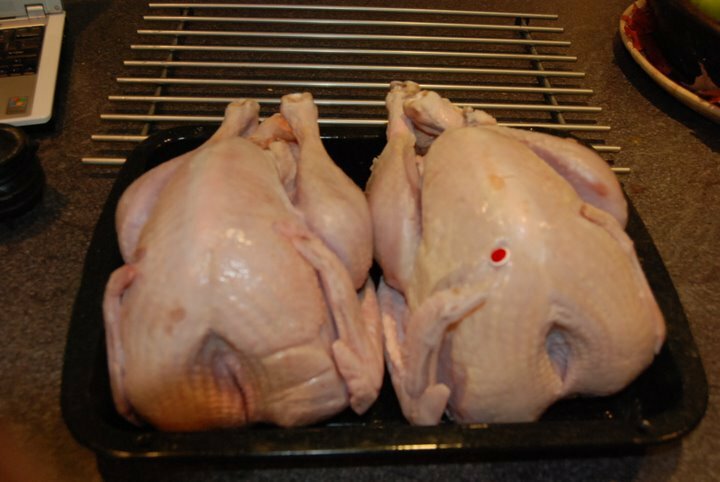 Botswana Turkey’s……I can cook two in a pan! Yet, about a week out……my heart starts to ache as I sit down to plan my menu. My thoughts turn to my mom and sister doing the same. The warmth and coziness of my sisters home as we get things ready for everyone to come. I miss being a part of that. I miss sitting down with my sister and looking through all the “Black Friday” ads and dreaming of the things we want, but not wanting to fight the crowds for. I miss my Uncle David’s fried turkey and how each year he says, “Well I almost caught the garage on fire….” and my Aunt Dorthy’s amazing caramel brownies that when you bite in them you can’t help but groan in delight. So my heart gets heavy and homesick, but like each year before, I pull myself out of it and begin to plan my own Thanksgiving. As I begin to plan with friends, the familiar starts to return and I am grateful that even in those moments of being far away, I have friends like family around me to carry me through. My mom always likes to say, “We have our memories of times spent together before to carry us to the next time when we’re together again.” I love that…..it’s true. 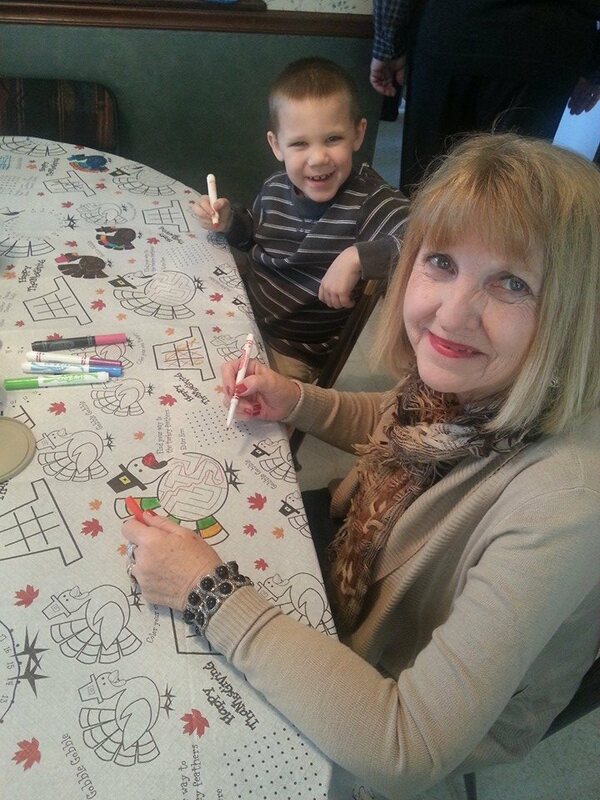 My mom and Andrew Thanksgiving 2013. 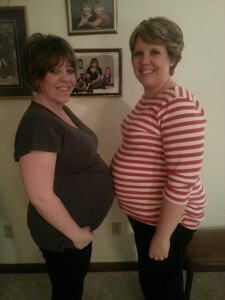 Can’t forget this one….My sister and I both 37 weeks. Thanksgiving 2012. And if I am lucky, my internet will be strong enough to Skype with my family and wave to all of them. 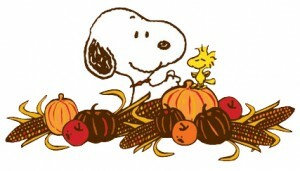 If I am lucky, I’ll find all the supplies I need to pull off a pumpkin pie or enough turkey’s to feed everyone. But one thing I know that I won’t have to try my luck on is the gathering of friends. As you gather around your table this Thanksgiving, I pray you feel the warmth of friends and family around you. 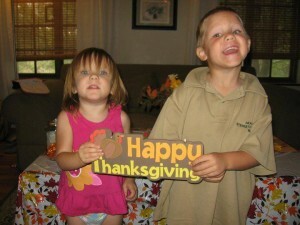 We truly have so much to be thankful for, even far away from each other!